I have been a big fan of the Dual Intensity blushes by Nars ever since they first came out, and I have quite a few in my collection now. 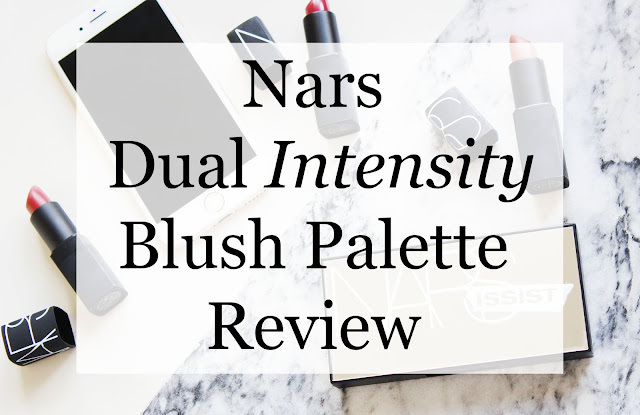 So when the e-mail about this new addition to the family - the Nars Dual Intensity Blush Palette - appeared in my inbox, I was really really excited. After I ordered it and it arrived at my house, the packaging was a pleasant surprise. It was different to the classic Nars matte black, instead a mirrored palette, which I think is really pretty! I was also expecting it to be a lot smaller, but you do get a decent amount of product. Inside, you get four shades, simply numbered I, II, III, IV. 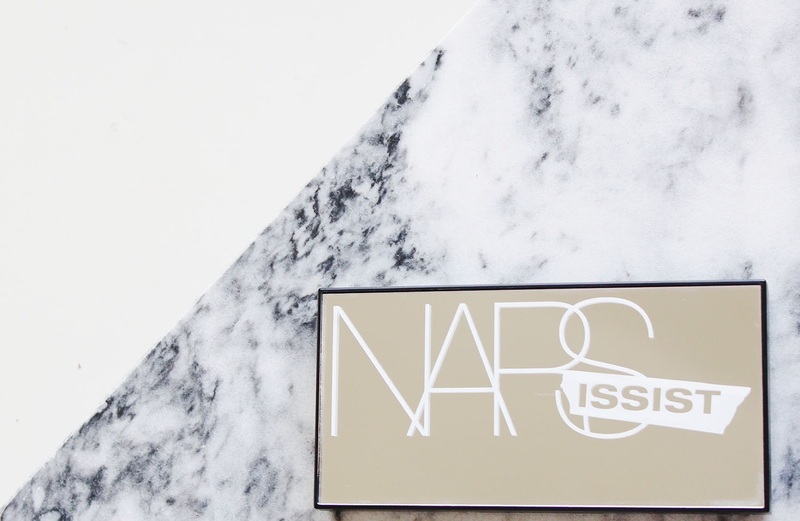 Definitely makes a change from the sexual names Francois Nars typically gives to his products! But a sophisticated touch. 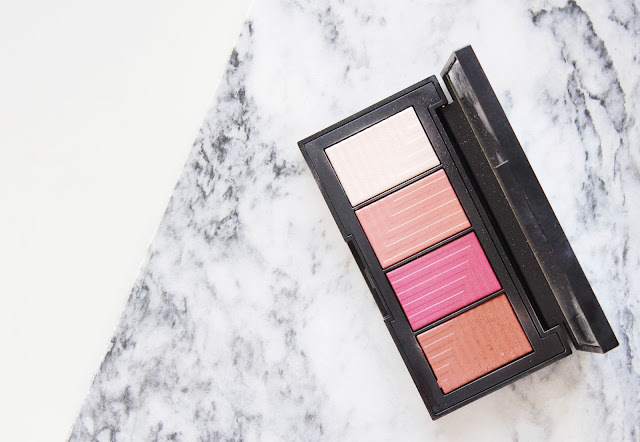 I is a pale pink highlight shade, II and III are golden peach and a true pink blush respectively, and IV is a dark brown undertone blush, which can be used as a bronzer on fairer skin tones. I was actually very surprised that IV suited me as a bronzer, as it looks very warm in the pan, but on the skin it is a true bronze shade. 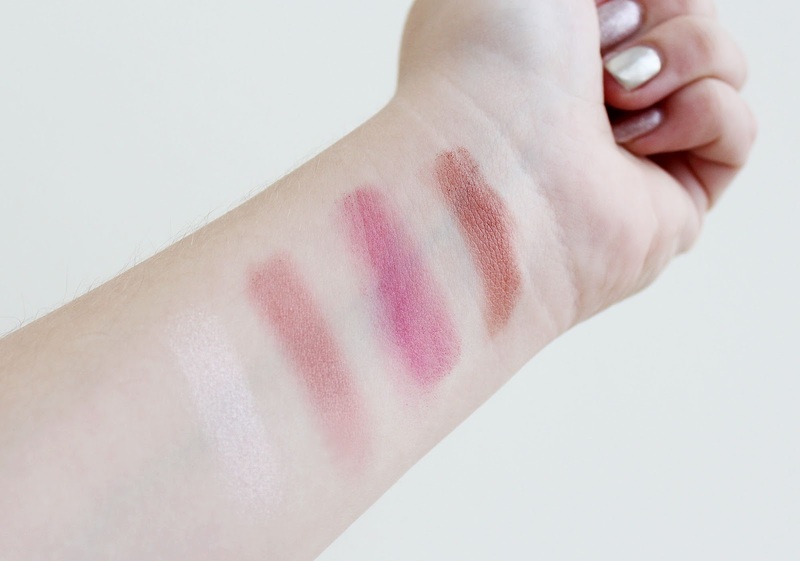 The quality of the blushes in the palette are also up to the same standard as the original Dual Intensity blushes. They have a beautiful satin shine to them; far more of a sheen finish than any shimmer. They're so smooth, and super easy to pick up on your brush. They're very highly pigmented, too! Because they're not matte the pigment isn't too harsh, so they're easy to build. All of the shades look stunning on, especially the highlight. The only element of this palette that disappointed me is that the colours inside are all very similar to dual intensity blushes already sold as duos. II and III are practically the same as Fervor. Nonetheless, the shades are very pretty. In terms of if I recommend this palette or not, it can go two ways: if you've already got a stash of the Dual Intensity blushes, you probably don't need it, because the shades are very similar. However, if you travel a lot, it could still be ideal. If you've never tried the Dual Intensity blushes, or are looking for a high quality multi-purpose palette, I highly, highly recommend this! Have you tried any of the Dual Intensity blushes, or this palette?